Carruthers MacDonell & Robson was founded in 1975 in its current location at the Shubenacadie Professional Centre at 5 Mill Village Road, Nova Scotia. Robert A. Carruthers joined the firm in 1977 as article clerk and the firm became Carruthers & Associates in 1980. The firm expanded to become Carruthers & MacDonell in 1993 when Joseph MacDonell joined the firm. It again expanded in 2009, when Kerri-Ann Robson became a partner and it became Carruthers MacDonell & Robson. Carruthers MacDonell & Robson is a full service law firm, with three lawyers and eight support staff serving a wide range of clients, primarily in Colchester County, Halifax Regional Municipality and Hants County, but also through the remainder of Nova Scotia. 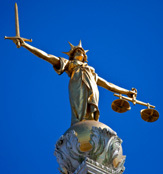 We take pride in having provided sound legal advice and services to clients at reasonable rates for over 35 years! Copyright © 2013 carmaclaw.com. All rights reserved.